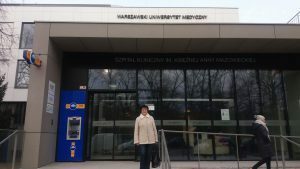 TSMU Professor Halyna Pavlyshyn and Assistant Professor Iryna Sarapiuk trained at Princess Anna Mazowiecka Clinical Hospital on March 1-17, 2018. 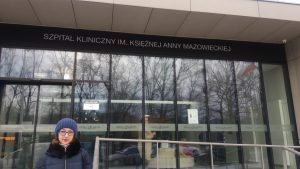 The visit was at the invitation of the head of the clinic of neonatal and newborn intensive care Warsaw Medical University, Prof. Maria-Katarzyna Kornacka. 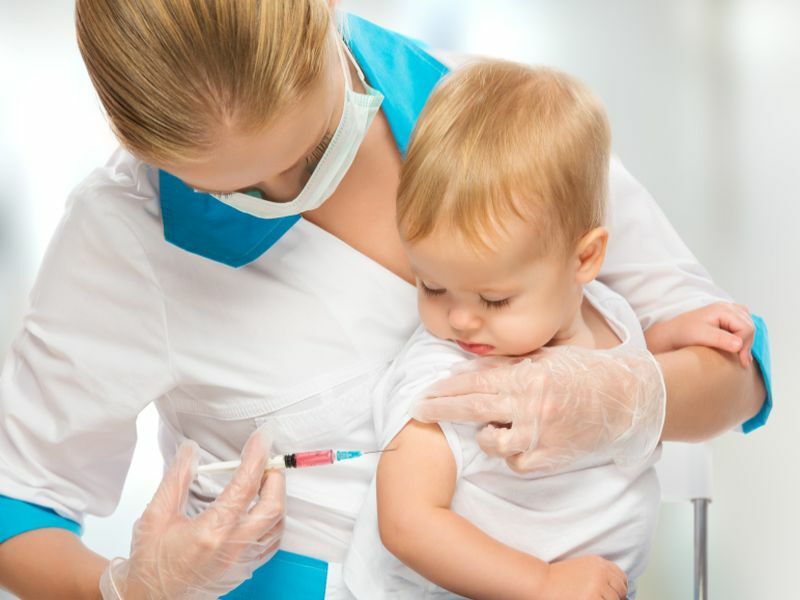 The clinic has the following units: the department of newborn intensive care, pathology of newborns, and postpartum department. During the training, TSMU learned the latest approaches to the organization and work of these departments, diagnostic and treatment process for the most common diseases of newborns (in particular, neonatal sepsis, necrotic enterocolitis, congenital malformations, and respiratory disorders), and health issues of preterm infants. 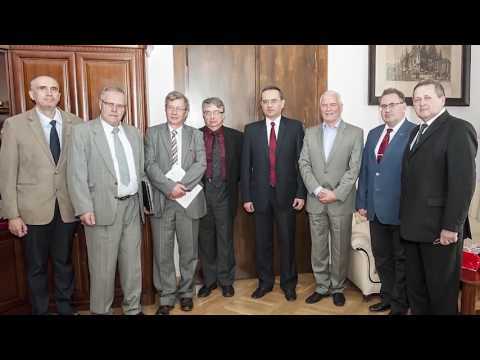 The Department of Neonatology and Neonatal Intensive Care of Warsaw Medical University is one of the leading in Poland in the study of birth defects in premature infants. 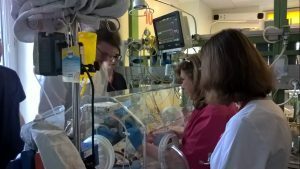 During the training, TSMU researchers studied the modern methods of administering surfactant (the INSURE method and the noninvasive LISA, which today is the leading methods of many European neonatology clinics), the features of invasive and non-invasive ventilation support, and use of nitric oxide for persistent pulmonary hypertension. 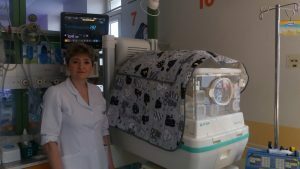 The department has modern equipment, in particular for invasive and non-invasive ventilation support, exogenous nitric oxide therapy, therapeutic hypothermia, monitoring of hemodynamic parameters, as well as diagnostic equipment for ultrasound examination (neurosonography, ultrasound examination of the heart, abdominal cavity, lungs). Doctors in the department admit the patients on site. All medicines for parenteral administration are prepared in sterile conditions in the hospital pharmacy by a group of clinical pharmacists. An extremely important part care for premature babies is the prevention of infectious and septic complications. This can be achieved by thorough hand washing. 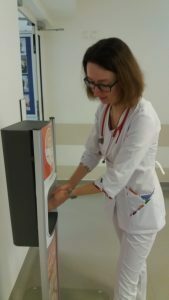 All medical personnel adhere to the proper technique of hand washing and treatment with antiseptics at every contact with the child. 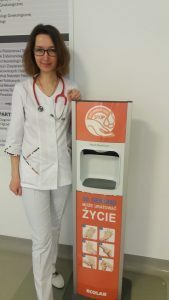 At the entrance to the clinic, there are special antiseptic dispensers with a sign reminding that 30 seconds spent on this action saves lives. 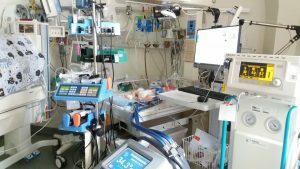 The newborn intensive care unit employs a unique combination of intensive care and perinatal care called the Kangaroo method. It aims to involve the family in the care of the premature infant and to prevent infectious complications. 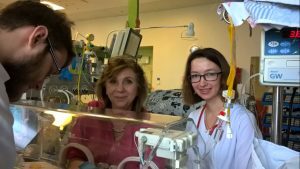 Department specialists successfully perform respiratory kinesitherapy using the latest French approach, and early rehabilitation of sucking in premature infants together with education of the parents for long-term rehabilitation. All this ensures good outcomes of treatment, follow-up and rehabilitation of premature infants. 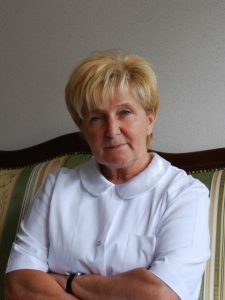 Head of the clinic, Prof. Maria-Katarzyna Kornacka, founded in Warsaw a School for Parents of Prematurely Born Babies. Its main task is to support and train parents, preparing them to take their babies home. Another area Drs. Pavlyshyn and Sarapiuk covered during the training is the use medical hypothermia. This technique can be used in the cases of hypoxic-ischemic encephalopathy in moderate to severe form, as well as the supporting laboratory gasometry tests. Cooling the body, in particular the brain, allows to prevent or reduce neurological damage associated with hypoxic-ischemic damage. Lowering of the body temperature can be started 6 hours after the birth. 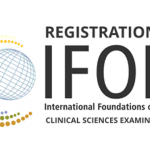 Within 72 hours, the child’s body can be chilled to the rectal temperature of 34-35 C.
Hypothermic treatment and administration of nitric oxide to a child with severe asphyxia and meconium aspiration syndrome. 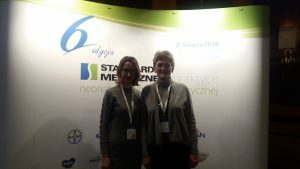 During the training, TSMU researchers took part in the Standardy Medyczne w praktyce neonatologiczney i pediatryczney, which took place in Warsaw on March 2-3. 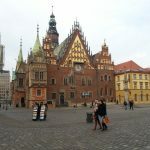 The conference addressed the latest issues of pediatrics and neonatology, in particular, outpatient care for premature infants.